Everything about modern life is bad for your skin. Heating, air-conditioning, pollution…without Clarins’ help, the damage would go unchecked. Clarins’ Gentle Exfoliator Brightening Toner is just what dulled skin needs. With tamarind and white nettle, it’s a gentle lotion that exfoliates and refines. Use it before your normal skincare routine for best results. Simply apply with a cotton pad one to two times a week, and you’ll be left with skin that’s brighter, softer, and smooth to touch. 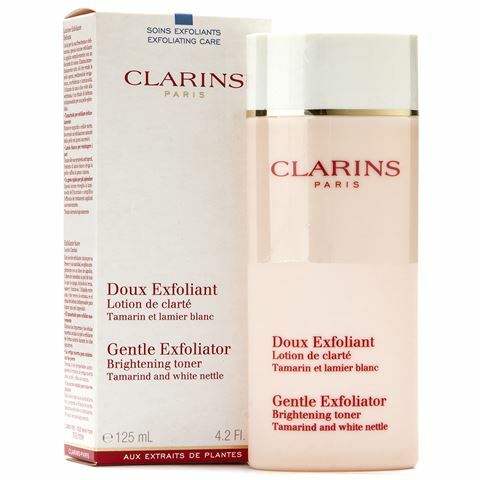 Toning lotion exfoliates and brightens skin.